“Aayog held meetings with the states earlier this month and the state governments have expressed their opinion that they should get more say in the governing bodies under the NMC,” a source said. The state governments feel that more participation in the working of NMC will help formulate policies and regulations, which are more broad-based and cater to aspirations of all the states, he added. A high-level committee headed by Niti Aayog Vice-Chairman Arvind Panagariya has proposed scrapping the controversy-ridden MCI and replacing it with the NMC. Besides Panagariya, the panel, which is looking into the issue of poor regulation of medical education by MCI, includes Prime Minister’s Additional Principal Secretary P K Mishra, Niti Aayog CEO Amitabh Kant and the health secretary. 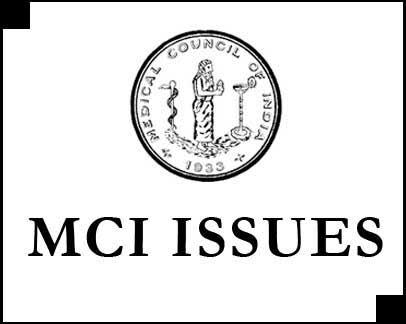 Under the present MCI composition, one member from each state other than a Union Territory is nominated by the Centre in consultation with the state government concerned. One member from each state, in which a State Medical Register is maintained, is to be elected from among themselves by persons enrolled in such a register who possess medical qualifications. NMC will become the main regulatory body and will take over all roles and responsibilities of MCI. NMC will have around 19-20 members, including the chairman, and their tenure will be about five years. It will also have members from other fields such as economics and law. It will have four boards Under Graduate Medical Board, Post Graduate Medical Board, Accreditation and Assessment Board and a board for registration of medical colleges as well monitoring of ethics in the profession. There will also be a Medical Advisory Council (MAC), with members from states who can be an eminent professional such as a professor from a medical college and the like. There will be two members from Union Territories. NMC members will also be its members and its role will be advisory. Earlier this year, a parliamentary committee had called for revamping the MCI, saying it has failed in its role as a regulator which has led to a downfall in India’s medical education system.